Irish Championships – the pinnacle of our orienteering year! Everyone ready to head north-west for the Irish Championships this weekend? The start lists and final information are available here. The forecast for the weekend is looking up so maybe it will be sun-cream rather than rain jackets after all! Start times for the sprint at Sligo Institute of Technology are from 6 pm on Friday with the middle distance race on Saturday and the long distance on Sunday, both in the area of the Barnsmore Gap outside Donegal town, and the relays at Finner sand dunes near Ballyshannon on Monday. The weekend also features a junior fund-raising quiz at the event centre on Saturday evening and the IOA Annual General Meeting before the prize giving on Sunday. 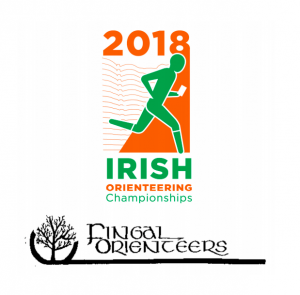 Fingal Orienteers are staging their first IOC in the year of their 30th anniversary and the have drafted in Controllers from NWOC, Kerry Orienteers, Western Eagles and Fermanagh Orienteers to help. Sligo Orienteers are running the sprint on Friday. A particular shout out to Seán Rothery, a founder member of 3ROC, of IOA and of the first Irish O-Club called “Irish Orienteers” who is the first entry in the M90 class we have ever had at IOC. Go Seán! The Saturday after IOC, and not too far away, FermO are staging the Northern Ireland Sprint Champs and Middle Distance Champs at Fintona, Co. Tyrone, on Saturday 12th – see details here. PS Remember to bring a whistle – you can’t start without one and you may also need a waterproof jacket, so pack one. 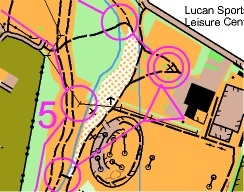 See one of the maps here – as used for IOC 2009 and the 2010 Irish 3-Day. Good luck also to Eoin McCullough and to the LVO McCann family, Greg, Tish, Áine and Maebh who are running the Bear Mountain endurance challenge in upstate New York this weekend. The McCanns are running to raise £20000 for educational equipment for Oakwood special school in Belfast where Tish works and where the girls have also worked. Courses are up to 50 miles long. To donate, follow this link. Last Sunday’s Leinster League on the heathery hillside at Glendasan proved successful for 3ROC’s Colm Moran, winning the 6.2 km Brown course by a narrow margin – he had only 11 seconds to spare over CorkO’s Shane Lynch. Colm is returning from injury and the Wicklow terrain is not unlike the open mountainside we’ll encounter in the Irish Champs this weekend, so hopefully he’ll have a good run there too. Colm’s clubmate Rhona McGrath also finished first on the Red course on Sunday. June 2-4 Shamrock O-Ringen with a preliminary urban sprint in Killarney on June 1st. All the events are on the IOA Fixtures Page here. Want to join an orienteering club? To join 3ROC and get reduced entry fees at events or to renew your membership, just see here. Follow 3ROC on Facebook here.